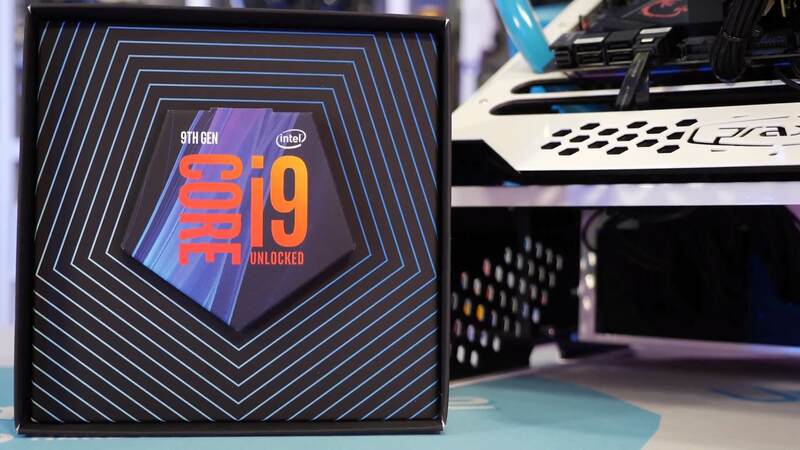 Intel’s Core i9-9900K is quickly developing a reputation for running on the warm side. Steve noted as his review of the chip and others have also picked up on it. Curious to get to the root of the cause, extreme overclocker Roman “der8auer” Hartung recently popped the heatspreader off his i9-9900K for a closer look. der8auer discovered the chip does indeed use a soldered thermal interface material, or STIM, as many had expected. He additionally got ahold of a retail 9600K which also ran a bit toasty. After delidding this chip, he learned that it is an eight-core die and is the same size as the 9900K, just with two cores disabled. Upon further inspection, it was also discovered that the PCB and the chip is physically thicker compared to the 8700K. What would happen if you were to shave some of that thickness off the top of the die? In theory, the thermal conductivity should improve… and that’s exactly what der8auer did. Delidding a brand new chip is risky business in itself but taking the bare die to sandpaper is next-level scary. der8auer proves that there are some notable thermal gains to be had but again, this method is not for the faint of heart. Why can't intel come up with a better solution than this? Why do they gimp their own products? Is it so expensive to use a more effective solution? I don't think Intel did this intentionally. They haven't soldered a mainstream processor in so long, they just lost their touch. eh. I'm a welder and soldering isn't hard lol. I mean if they hired a guy with experience and half a brain to solder the chips there shouldn't be an issue. most likely a robot is doing this anyway. if it's not a robot then it should be because the guy who soldered that chip should be shipped back to happy town in a crate full of bananas because that was ugly AND it was mentioned he thought some of the soldering cracked. HUGE sign the guy soldering couldn't aim properly or moved too fast. fire that guy. soldering is ez. give me the job. How exactly does being a welder qualify you to comment so brazenly on the subject? Your profession is to IHS soldering as a butcher is to a brain surgeon. One requires an entirely different level of knowledge and precision. Soldering is not easy, just ask DerBauer, one of the world's best overclockers. He attempted to solder his own CPU as well. He failed and stated multiple time how difficult soldering CPU IHS and die are. Smart guy. Funniest part of the video is at 12:16 after all his tests when he asks "Why the hell is this chip so damn thick?" well sir. that's just his opinion that it's difficult :O. as is mine that it's not. you don't know if I can solder or my skill level :O. just because one guy says it's hard doesn't mean it can't be relatively simple for someone else. That's not an opinion, it's reality. Being a welder doesn't make you a soldering expert for processor dies, period. My Intel i7 3820 is now 6 years old and still running like day one. They can do proper soldering like they used to in the past. These excuses of it will crack and all that is just to justify their rubbish. AMD does soldering and they charge far less. Intel has a massive budget that will make your eyes pop out if you compare it to AMD. How they even justify this processor being almost twice the price of a 2700X is total greed. Prior to Ryzen, consumer mainstream processors were stuck at Quad Cores. They did this intentionally. Their soldering is so weak that der8auer didnt even need to melt the soldering off in an oven like he does for the AMD processors. He just used his delid tool.